Most financial experts agree that routinely checking your credit reports is a smart idea. If you ask those same experts about credit monitoring services, however, you’ll likely get a lot of eye-rolling and negative comments. Criticshave three primary complaints about credit monitoring. They say it’s unnecessary, costly, and ineffective at preventing identity theft. Let’s evaluate each of these claims and see why, in this case, the experts have got it all wrong. Credit monitoring is a fee-based service offered to consumers by credit reporting agencies (such as Equifax, Experian and TransUnion), credit scoring firms and other companies. When you sign up for a credit monitoring service, one or all of your credit reports are constantly tracked and you are alerted to a variety of changes in your credit file, such as a credit card balance increase, an “inquiry” when you apply for new credit, or negative information like a late payment reported by one of your creditors. But what about those who contend that credit monitoring is “unnecessary” because you can get three free credit reports via www.annualcreditreport.com, and you can stagger those reports over time throughout the course of a year? Unfortunately, this is terribly misguided advice. You are at a serious disadvantage if you only check one credit report at a time – because you will then go for months upon months before you discover what data is contained in your other credit files. There could be errors in those reports, harming you financially or damaging your reputation. Someone could have opened accounts in your name without you realizing it. Or you may simply want to closely track all three credit files in anticipation of applying for a job or a big loan, such as a mortgage. Credit monitoring will aid you in each of these instances. But the single biggest reason to use credit monitoring is that you’ll receive an incredible amount of credit education simply by staying on top of your credit. The mere act of constantly reviewing your credit files and being aware of changes to your credit profile promotes enhanced financial literacy and better credit awareness. When you monitor your credit, you quickly become cognizant of how certain actions you take – whether it’s applying for that department store card, getting a car loan, or knocking down a big chunk of credit card debt – all impact your credit rating. Additionally, many credit monitoring companies offer online resources – including credit tips and articles, financial calculators, and credit-score simulators – to boost their subscribers’ credit knowledge. So the sentiment that credit monitoring is “unnecessary” is wrong-headed thinking, particularly amid the credit crunch and in an economic environment where your credit rating determines so many aspects of your life. In terms of cost, the average credit monitoring service runs about $14.95 per month, or roughly $180 a year. That’s not cheap – especially since we’re all watching our budgets. But I’d argue that $180 a year certainly isn’t expensive either – not for something whose chief benefit is to help you enhance your credit rating, thereby saving you thousands of dollars annually, and likely hundreds of thousands of dollars or more in your lifetime. Consider just a single loan: a mortgage. Improving your credit score by 80 points – from 680 to 760 – will save you a $72 a month on a $300,000 mortgage, according to Fair Isaac, creator of the FICO credit score. Based on prevailing interest rates in June 2010, a person with a 680 FICO score would pay $1,588 a month (using a 4.875% interest rate), while a person with a 760 FICO score would pay just $1,516 per month (assuming a 4.476% interest rate). Saving $864 a year on your housing cost alone is definitely worth investing $180 annually in credit monitoring in order to help boost your credit scores. But the real payoff comes over time. Over the 30-year life of a mortgage, the person with the 760 FICO score will save more than $25,000 in interest payments compared with the individual with the lower 680 FICO score. Now think about all the loans you’re likely to apply for in your life – credit cards, business loans, auto financing, mortgages, perhaps student loans for yourself or your kids, and so on. Toss in also all the car insurance and life insurance you’ll buy throughout your life. (Remember: those insurance rates depend, in part, on your credit rating too). Lastly, consider that employers are increasingly deciding who to hire and who to promote after they do credit checks. So your ability to earn a better salary is also tied to your credit. Tally it all up and it’s clear that having the highest possible credit rating will save you a bundle. 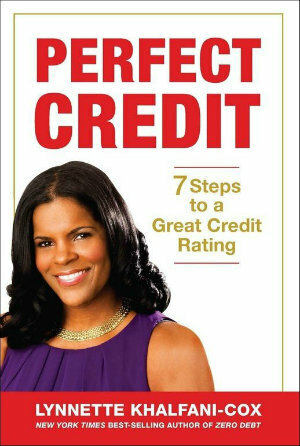 In fact, in my book, Perfect Credit: 7 Steps to a Great Credit Rating, I calculated that a person with perfect credit (that is, a FICO score of 760 or higher), will save or earn more than $1 million during his or her lifetime over someone with bad credit. Credit monitoring helps you achieve that perfect credit status. So you should look at credit monitoring as an investment. It’s the price you pay to help reach a worthwhile goal: acquiring an A-1 credit rating. And when you think about the potential cash you could squander paying higher interest rates due to having a less-than-stellar credit rating, I’d say that credit monitoring is far from a costly “waste of money.” On the contrary, it’s a bargain. Lastly, let’s look at the final reason that some experts don’t like credit monitoring. They say it doesn’t work to prevent identity theft. On this count, I agree with the “experts” wholeheartedly. Credit monitoring doesn’t prevent identity theft – because nothing does! The fact is: if there’s a con man out there who is intent on stealing your private information, and misusing it in any way, there are no 100% ironclad safeguards in existence to stop such a thief. But credit monitoring can help detect or deter it. Credit monitoring gives you early warning that somebody may be trying to steal your identity — such as when an inquiry or a new account mysteriously appears on your credit report, or when you get a credit monitoring alert stating that your home address has been suspiciously changed. (Identity thieves often re-route mail in order to have your private information sent to them or to receive new credit cards they’ve applied for in your name). If you receive a credit monitoring alert warning you of any of these scenarios, you can act immediately to put a fraud alert or a credit freeze on your credit files. Either of these will stop additional credit being extended to the identity thief, thus preventing any further damage to your credit rating. So it’s misleading to talk about credit monitoring being a weak or ineffective method of stopping identity thieves altogether. Absolutely nothing does that. One of the benefits of credit monitoring is that you often receive additional credit reports and credit scores during the term of your credit monitoring plan. For example, FreeCreditReport.com offers its credit monitoring subscribers fresh credit scores twice a month, as well as unlimited access to its updated Experian credit reports anytime consumers want (even daily). Most credit monitoring and identity-theft protection companies provide you with legal services and/or insurance – often to the tune of $25,000, $50,000 or more – to help you clean up the mess that an identity thief might cause. Equifax offers up to $1 million in identity theft insurance. If you are victimized by identity theft while you have credit monitoring in force, many credit monitoring firms will help make you whole for a variety of losses suffered. For instance, a credit monitoring firm might pay you for lost wages, allow you to hire a private investigator at their expense, or provide you with financial reimbursements to cover your out-of-pocket expenses. Credit monitoring offers you one of the fastest ways available to spot mistakes in your credit files as soon as errors occur. If you get a monitoring alert of something inaccurate, or if you simply catch an error in your credit file as a result of constantly viewing your credit reports, you’ll be well-positioned to quickly dispute those errors. The real problems with credit monitoring are: inadequate disclosure and a failure on the part of the credit industry to properly explain the tremendous benefits of credit monitoring to the public. With a straightforward approach like this, I’m convinced that more consumers would see the value proposition being offered – and be willing to try credit monitoring or stick with it. At the very least, people would better understand what they’re getting and wouldn’t feel misled or tricked into buying credit monitoring. Finally, for the record, I am not paid by nor affiliated with any credit monitoring service or company mentioned in this article. I’ve just been fortunate enough – after many years of trial and error – to learn how to manage credit wisely. As a Money Coach, it’s my job to teach such skills to others. And this I know for sure: In the present economic environment, it’s simply not enough to check your credit once a year. You need to be vigilant all year long: educating yourself about credit, tracking changes to your credit reports, and enhancing your credit status in any way you can. 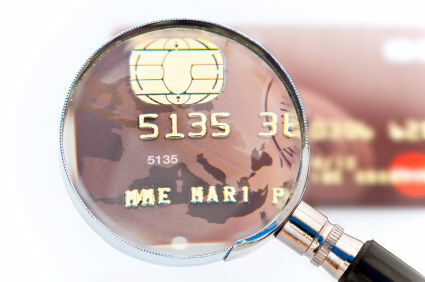 Credit monitoring is one easy way to do just that.